In the preview for the upcoming TV-show Sleepy Hollow, Ichabod Crane, newly awakened from a slumber lasting more than two hundred years, reacts to the number of Starbucks there are. It is clear that what surprises him isn’t Starbucks as such, but the large amount of coffee shops on each block. The historian in me immediately asked, how plausible would it be for Ichabod Crane to be familiar with the concept of Starbucks? Then I realized the stupidity of my own question. Of course Ichabod Crane would be familiar with it. It’s a coffeehouse! The TV-series Sleepy Hollow is loosely based on the story The Legend of Sleepy Hollow, written by Washington Irving (1783–1859). 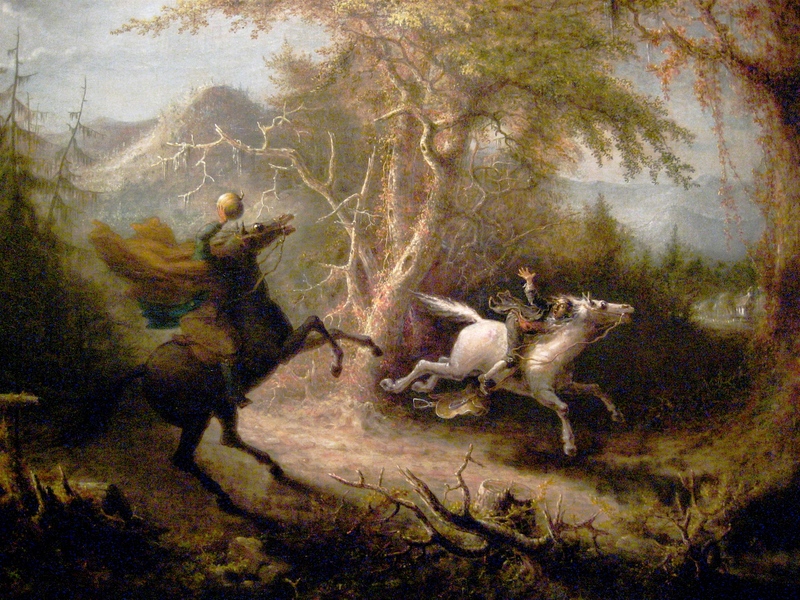 Irving is best known today for two of his short-stories of which Sleepy Hollow is one, the other one being Rip Van Winkle. The Legend of Sleepy Hollow and Rip Van Winkle were first published in the same story collection, The Sketch Book of Geoffrey Crayon, Gent. (1819–1820), and are based on themes found in German folktales. The Legend of Sleepy Hollow tells the story of the not-so likeable schoolteacher, Ichabod Crane, who moves to the small town of Sleepy Hollow. Being poor, Crane’s purpose in life is his own self-advancement. Therefore, he begins courting Katrina Van Tassel, the daughter and heiress of a local, wealthy farmer. Crane’s rival is Abraham Van Brunt. Knowing that Crane has come to believe in the local lore of ghost stories, Van Brunt decides to play tricks on Crane. One late night, on his way home from Katrina Van Tassel’s, Crane is pursued by a seemingly headless horseman. This incident is so distressing for the schoolteacher that Ichabod Crane is never seen in Sleepy Hollow again. 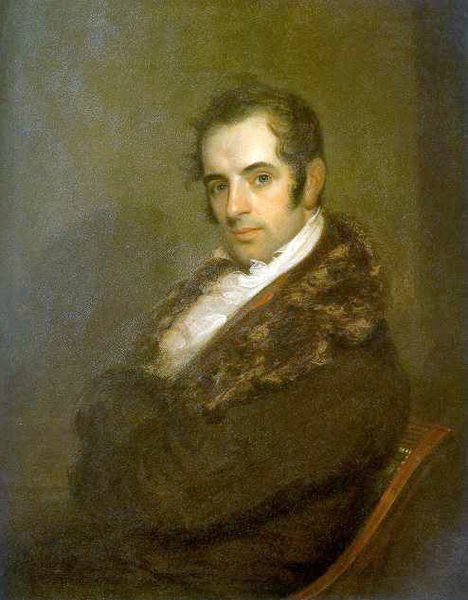 Washington Irving published The Legend of Sleepy Hollow in 1819-1820, but the story is considered to take place in the 1790s. Although not much of the original story seems to have been brought into the upcoming TV-series, the fact remains that the Ichabod Crane, who reacted to the amount of Starbucks on each block, is a man who lived during the eighteenth century. Him being able to relate to the concept of Starbucks is therefore not a surprise. The reason for this is that in eighteenth-century North America, the coffeehouse was an integral part of the social life of free, white males. It was at the coffeehouse that such men gathered to gossip, to socialize, to debate, to do business and to receive the latest news. The North American coffeehouse is part of a way of socializing, introduced into Europe with the introduction of coffee, which came from the Middle East and North Africa by way of Venice. Not long after coffee had been introduced in an area, coffeehouses began appearing and came to play an important part in politics and business. For example, the world’s largest insurance company, Lloyd’s, began as a coffeehouse in London. The North American coffeehouses were important during the struggle for Independence from the British Empire (1776–1784). Because of their function as arenas for politics, debate, business and socializing, it was at the coffeehouses that decrees from the British government were read to the public. And it was at the coffeehouses that the public voiced their concerns regarding these decrees. Moreover, once the Declaration of Independence had been signed, it was first read to the public at the Merchant Coffee House in Philadelphia. Today, the continuation of the tradition of the North American coffeehouse as a public arena for business and socializing can be witnessed in places such as Starbucks. When you walk in to order your hot beverage of choice, you will see people engaged with their laptops, college textbooks or attending a business meeting. If the North American coffeehouses of the twenty-first century will become arenas for the initiation of a revolution is doubtful. However, drinking coffee is in itself a revolutionary act. 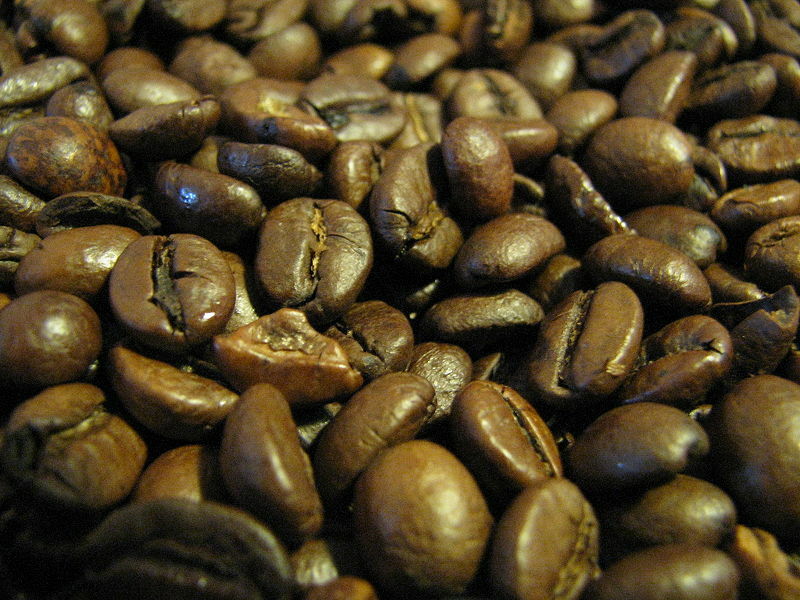 The Patriots of the eighteenth-century chose coffee over tea to demonstrate their opposition to the British Empire. I will watch Sleepy Hollow when it begins airing on September 16. The preview looked interesting enough to give it a shot. Also, John Cho is part of the cast, which of course is a bonus. If you are interested in the role of coffeehouses as meeting places for revolutionaries, go to the blog post Lenin Never Lived in Vienna. 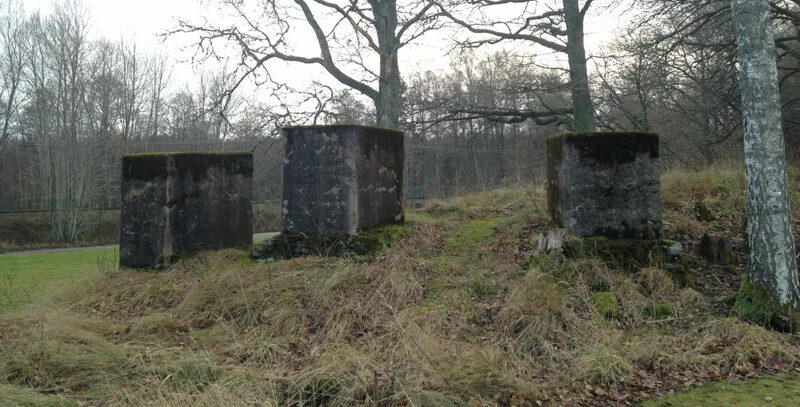 The images in this blog post have been downloaded from Wikimedia Commons. This blog post is featured at Suvudu Universe. This entry was posted in History, Watching & Listening, Writing & Reading and tagged American Independence, American Revolution, British Empire, Coffee, Ichabod Crane, John Cho, John Wesley Jarvis, Legend of Sleepy Hollow, Lenin, Sleepy Hollow, Starbucks, Vienna, Washington Irving by Erika Harlitz-Kern. Bookmark the permalink.